My husband is a saint, so around the holidays I really love spoiling him. I’m sure I am not the only one. Men can be tricky to shop for, sometimes they just buy what they want when they want it, other times they just don’t really want anything. When shopping for your husband, you don’t always have to go big. Find little things that may help him at work. Things to dress up his office, or things for the garage. If he is the chef of the house find things that will help him with cooking. In this guide I will be including some big ticket items. Christmas is a time I like to save up for and spend some money on. You do not have to do that. Shop in your budget! Do not feel bad if your budget is $20 or under, or even a homemade gift. I will preface this with the real meaning of Christmas is to be with the ones you love. Not what you give or get for the holiday season. Brandon is a fantastic cook. Back when I ate meat, his hamburgers were out of this world. Every time he makes them I just drool at the sight of them. It makes it so hard not to eat meat when he makes those. Back a few years ago I bought him a smoker for Christmas. It has been one of the best purchases ever! You can cold smoke things like cheese, or do a hot smoke of things like turkey and burgers. It always puts off such a delicious flavor in my veggie dogs, or veggie burgers I can’t imagine what the real meat tastes like. My family is huge into the outdoors. Camping, hunting, hiking the works. So I like to make sure we have things we need for the next year of camping or for Brandons hunting trips. A few year back I bought him a hunting rifle and it was a great investment for deer/elk hunting. Although I won’t like you to guns, if your husband is a hunter a nice rifle or rifle case is always a gift for a stable recipient. For the career man, the man that lives at the office and on his phone working hard for his family. For this man you can get him accessories for his phone, computer, laptop, Things to make his travels easier, and things to dress up his office. We all have a gamer in our family. They spend hours upon hours in a game and I can’t imagine it being very comfortable gaming in a normal seat. So I added some comfortable chairs. Gamers can work up a thirst so I added a mini fridge for liquid refreshments. Now woodworking is expensive so if you can’t afford to out right buy a saw, or power tool give them a gift card to go towards tools. I think the foundation of woodworking is a miter saw, table saw and router. Art can be very therapeutic, but it can get pricey. Paints are not cheap and the proper tools aren’t either. If they are a novice painter you can give them starter kits for practice. If your husband is a professional painter, see what brands and tools he uses to get a good idea of what he like to paint, sketch, or draw with. These gifts are more for the starting out musician, if your husband is on the professional end of things he probably has a specific store to make him custom or very specific pieces. I have no clue about that stuff, but for the starting out learning gear I know a little about what is something to look for. If you are local to my area then you have probably been to a Bee’s game. I think they are fun, exciting and a great date night or family night. If you aren’t local than shop for teams local to you. You can purchase tickets (here). 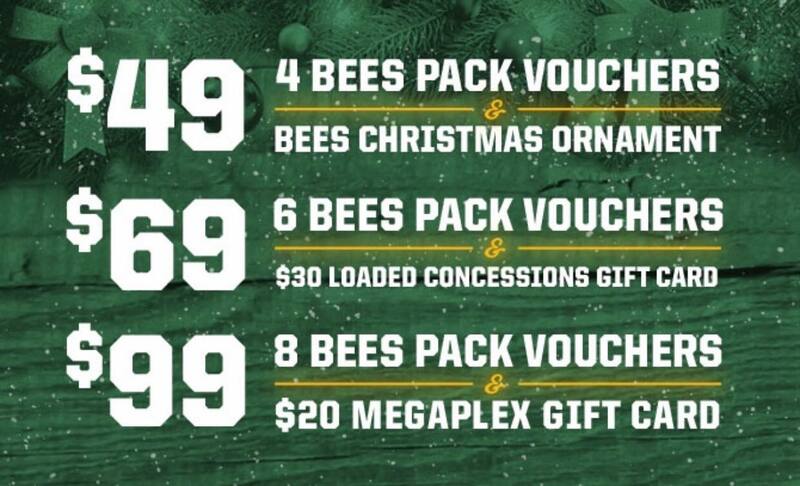 The vouchers are redeemable for the best available seat, excluding Diamond seating, to any upcoming 2019 Bees home game with the exception of July 4th & July 24th. This list can go on and on and on, I hope this has given you some ideas of what to get you husband or at least started some ideas for you.